In the last week I have had 2 very similar question regarding booking business class flights to Australia for Christmas 2018. Am I prepared to take extra flights and include potential risk and extra time to get the cheapest flights? Do I care what the business class is like or do I just want the cheapest possible price? The optimum time for booking flights is usually around 3-9 months before as even though you may still get a bargain in a sale closer to the time, you could be unlucky and end up having to just take what is left. This is particularly true for flights over peak periods such as flying to Australia for Christmas. I would, therefore, recommend starting to look in the new year and if you find a price that is reasonable, then book it. Most airlines only sell tickets a year in advance, so you may have to wait a little while for the prices to be loaded. I would expect for peak times such as this, that if you see a price for £2200 or less that it is a good deal. Very occasionally we see prices at around £1350 per adult from starting points outside the UK but that is as low as it is likely to go and often not for Christmas. This year the cheapest price I could find for one of my readers to Sydney was £2100 from Oslo for Christmas with Sinagpore Airlines. How do I find the cheapest price? Once the prices are available I would set up an alert on Google flights. The advantage with Google flights is that you can search up to 5 departure or arrival points at one time and Google will send you alerts when the price goes up or down. You can read more about using Google flights in this article. Your best bet to get a good airline at a great price involves 2 things: starting your trip from outside the UK (or occasionally Scotland) and/or buying the fare in a sale. Often Christmas periods are excluded from sales but not always. If you can be flexible with your dates and travel before mid-December you stand more chance of a good price. The next major sale that may cover Adelaide will be Qatar which usually happens the first week of January and has some great prices (though it may not cover flights for December). 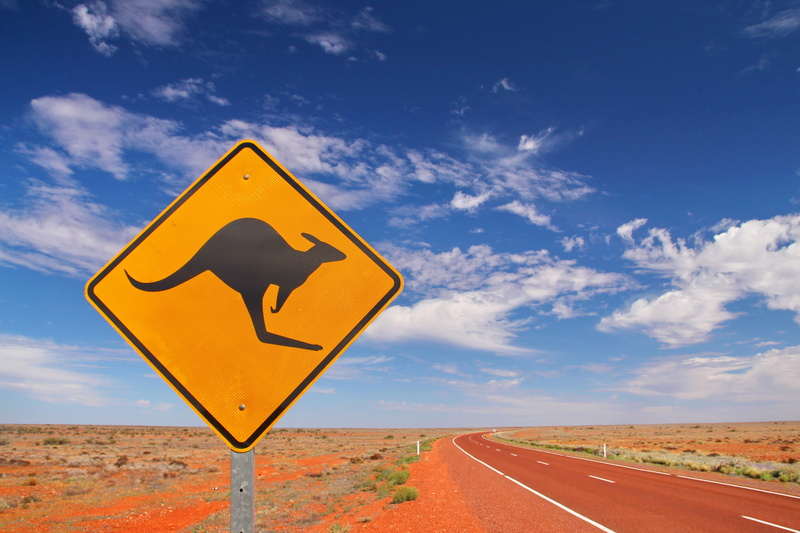 The cheapest and easiest places to fly to Australia from are usually Scandinavia or Amsterdam. Obviously, if you are travelling with young children you may decide this is not worth the hassle. However, I always recommend a night stop before the first Qatar flight which can help make it less stressful with children, especially if there is a hotel in the airport. You can read more about ex EU fares in my beginner’s guide to Ex EU flights. Consider adding accommodation even if you don’t want it. You can add just one night when using ebookers or Expedia and often this can bring the price down substantially. You don’t have to use the accommodation – just book the cheapest even if it is a campsite or a hostel! Use a cashback site such as Topcashback or Quidco – they offer cashback on some airlines and also for flights booked online with companies such as Expedia and ebookers. 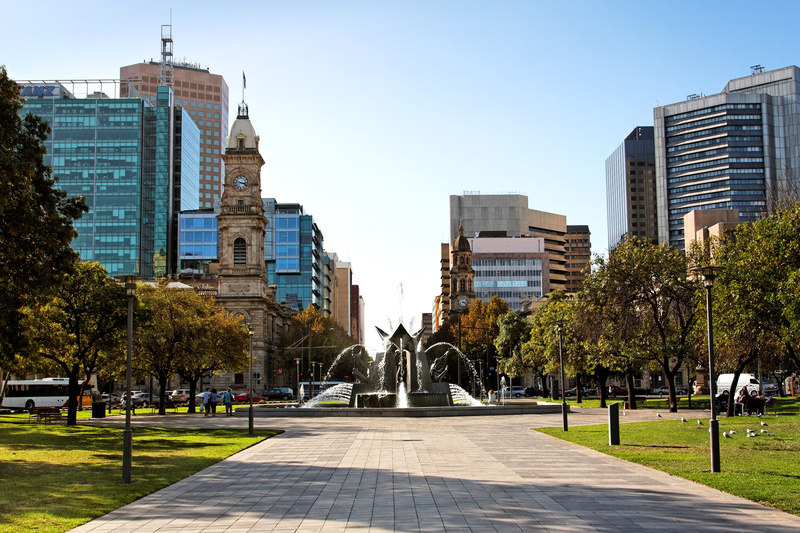 What are the best options for Adelaide? If you want to fly direct to Adelaide without changing flights twice in Europe, Perth or having to double back, there is a fair selection. From London, you have a choice of Qatar, China Southern, Emirates, Cathay, Malaysia and Singapore. You could also use BA to get as far as Kuala Lumpur or Hong Kong and then connect onto Cathay or Malaysia but these tend to be expensive. For returning from Brisbane the choice would be similar except for Malaysia, who although planning a return to Brisbane, have not set a date to resume flights. From Birmingham, the choice is more limited with Emirates or Qatar with 1 stop and China Southern via Amsterdam with 2. If you are considering China Southern it may be worth looking at an ex EU Qatar instead as the number of stops could be similar. The website RouteHappy is good for searching for flights although I would advise booking elsewhere. 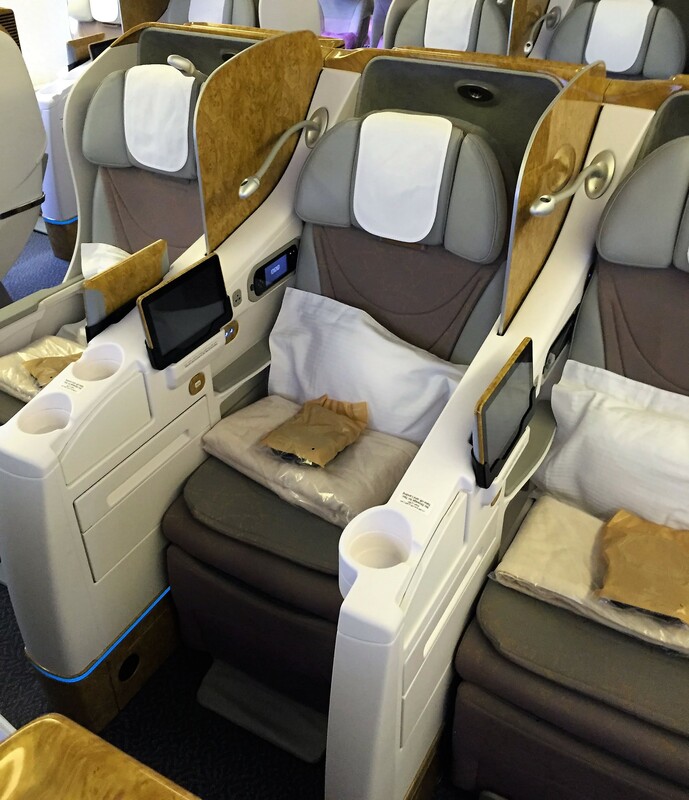 What it does do is give you an idea about the seats and business class product for each flight which is very useful. In terms of comfort, service and seats this is one of the best you can get. Prices from London are expensive but on an Ex EU you can get some very good prices between £1350-2300. On the Adelaide route they use A350 from Doha which is the perfect aircraft for a long flight. Higher humidity, lower cabin altitude and a great Qatar onboard product mean that you should arrive in great shape. You can read my Qatar A350 business class review here. The seats are in 1-2-1 configuration so they all have aisle access. The other advantage is that if you are a member of the British Airways Executive Club, you will earn Avios and tier points. On this trip, not including any positioning flights, you would earn 600 tier points which takes you to Silver and allows you business class lounge access even when travelling economy. China Southern are usually the cheapest airline to Australia and it is a pretty quick route too from London. China Southern are actually the largest airline in Skyteam and were upgraded to a 4* airline by Skytrax recently. 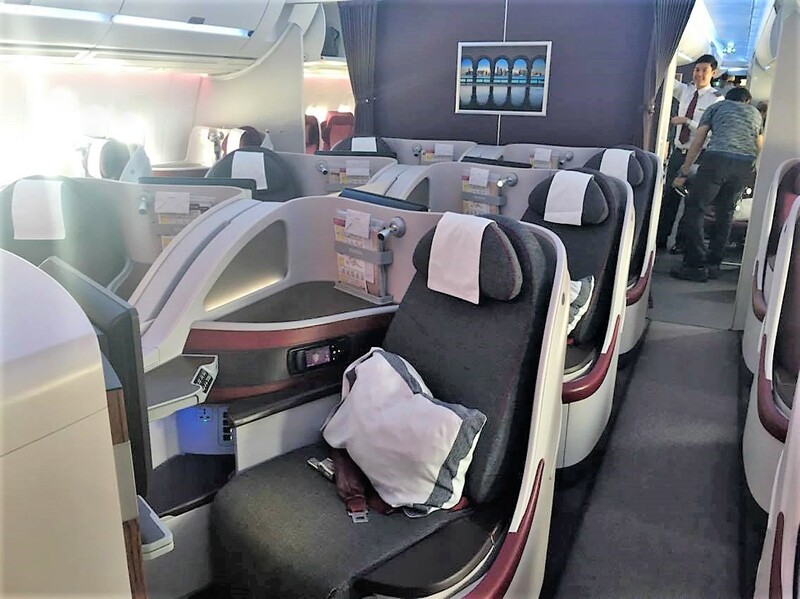 They are not at the standard of someone like Qatar but they do have reasonable lie-flat seats and their onboard service gets good reviews too. Bear in mind that it is geared towards a Chinese market so there will be less Western food options than Qatar or Emirates if you are a fussy eater but they do have western options for each meal. The downside is that ground handling in China can be a little hit and miss plus you would only be able to earn Skyteam miles rather than Avios. Also, the seats on the A330 and B787 which are used on this route are 2-2-2 which means having to step over people in bed mode unless you have the middle pair. China Southern are available to Adelaide from Birmingham via Amsterdam. If you book Emirates through Qantas on a codeshare you would be able to earn BA Avios and tier points too which is a big advantage. From Heathrow, Emirates use their A380 which has a good business class product with flatbeds and a 1-2-1 configuration. It even has an onboard bar! From Dubai it is then a B777 with a less than optimal 2-3-2 layout, although for reader D this could be a good solution with 3 of them travelling. 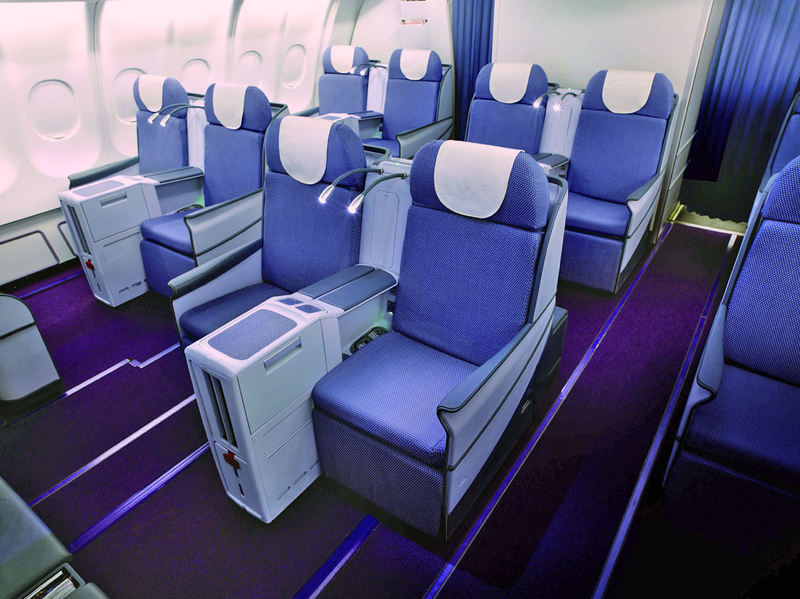 The seats are also only angle lie flat which means that you can feel as if you are sliding towards the floor! Given that this is the longest flight segment, I would probably only go for this if the price was cheaper than the other airlines. In summary, the cheapest option will most likely be Qatar from outside the UK plus it has the best business class product of the options in my opinion. If you want to fly from the UK, China Southern would be the cheapest option but the business class seat is not to the same standard. Finally, from Birmingham, Emirates would be the quickest and simplest option but it is likely to be expensive unless you can find a sale deal with a bit of cashback. 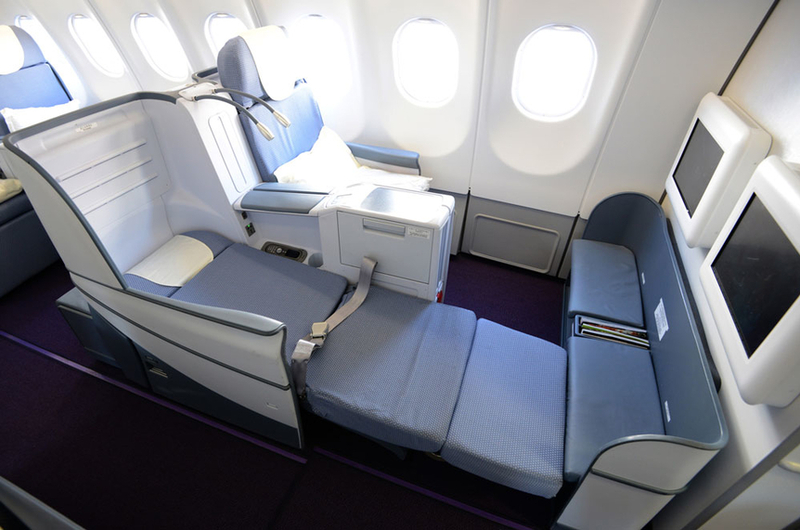 Otherwise China Southern would be the cheapest with a reasonable business class product. 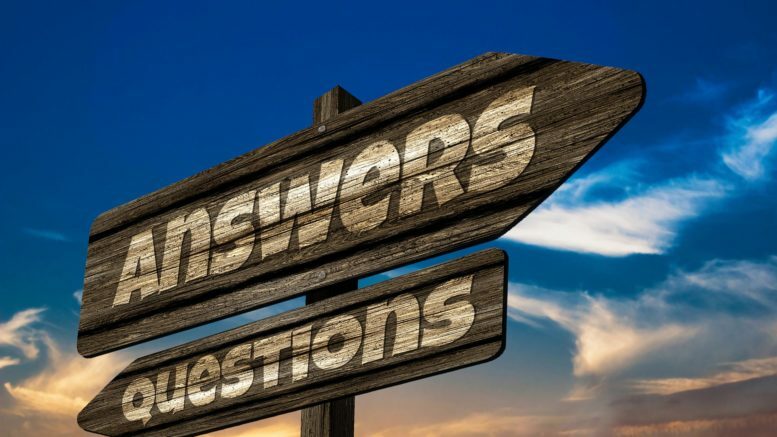 Be the first to comment on "Reader Question: Business class flights to Australia – how to find the best price & when to book"